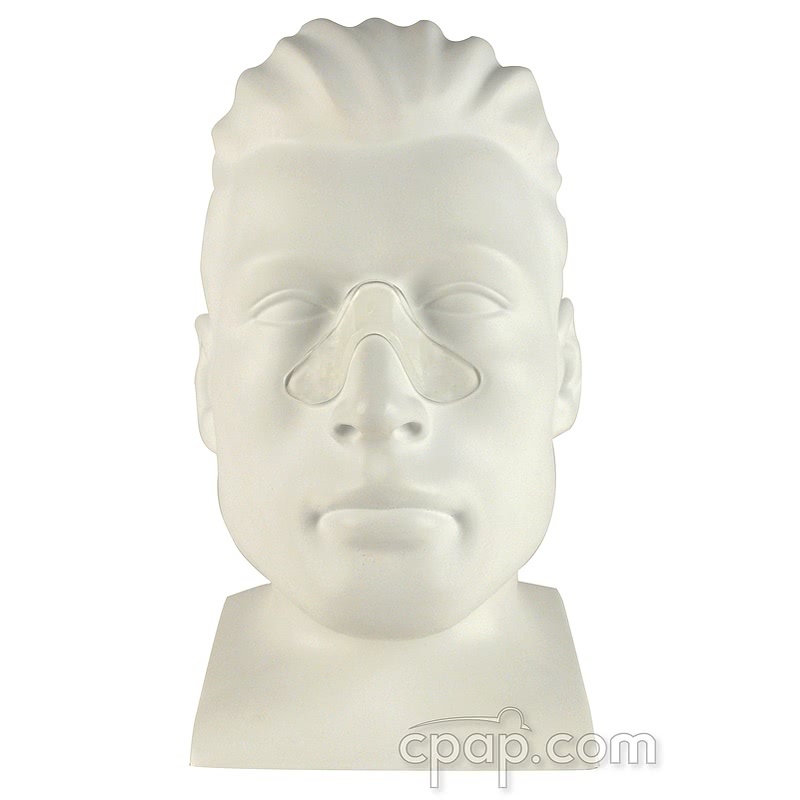 " I was very surprised that such an item could make such a difference in comfort. The lines around my nose are going away and I couldn't be happier. " " works very good. 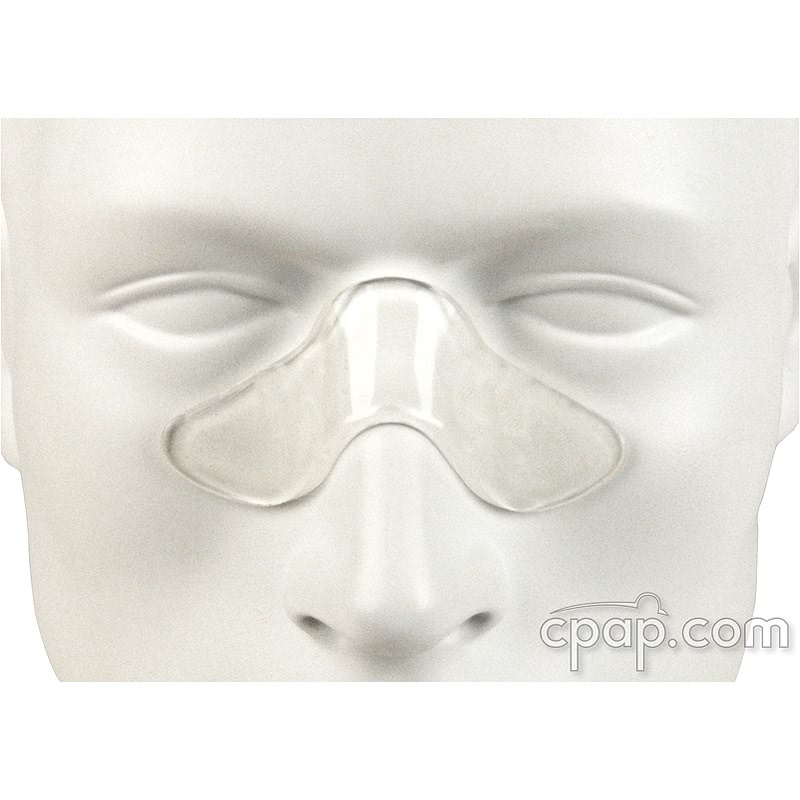 keeps the bridge of my nose from getting sore "
Using the Boomerang Gel Pad with your full face mask or nasal mask will help to enhance comfort and reduce leaks. 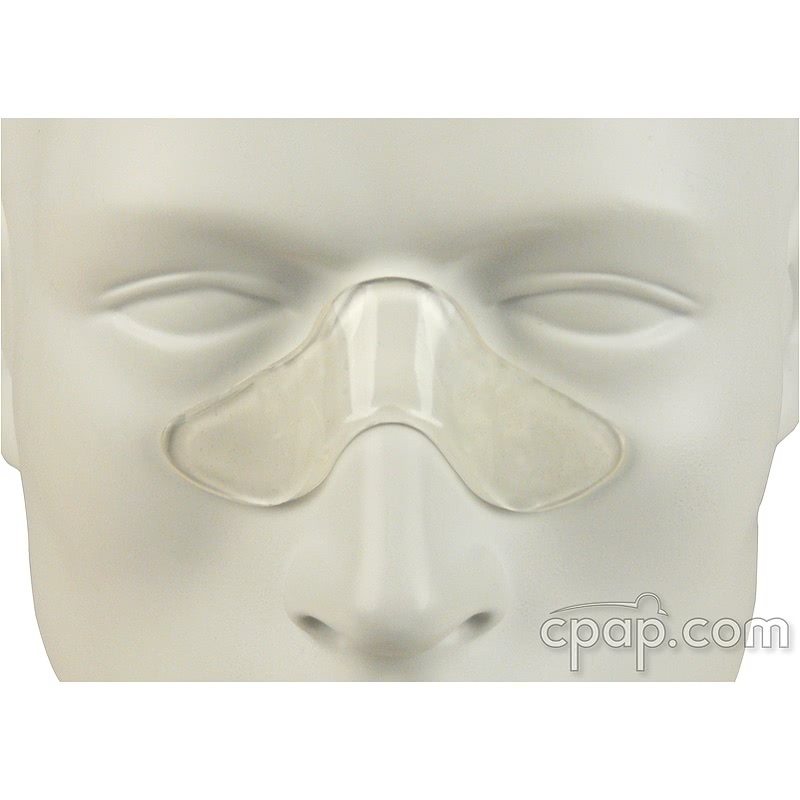 The Gel Pad rests on the bridge of the nose to provide cushioning and help increase the mask seal. 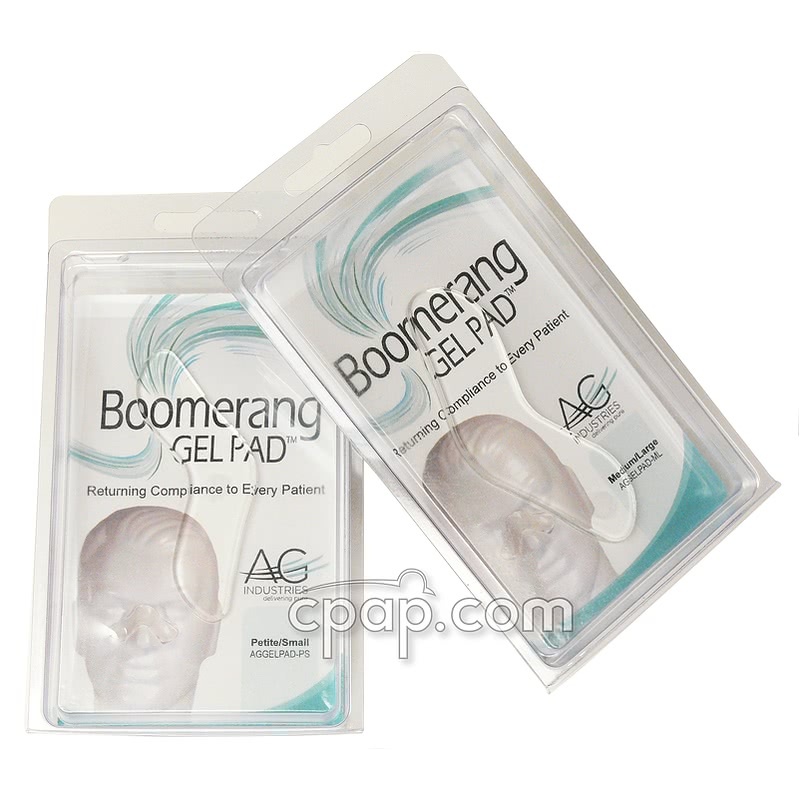 The Starter Pack includes both available sizes of Boomerang Gel Pad: Petite/Small & Medium/Large. 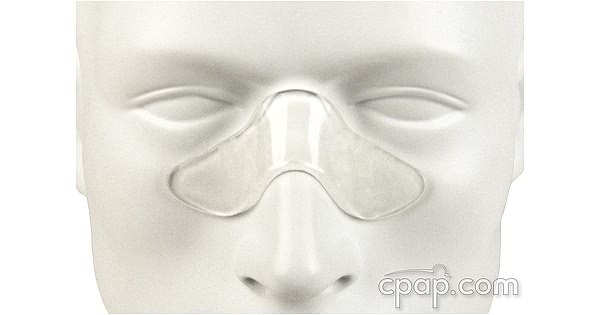 Boomerang Gel Pads add a layer of cushion and increase comfort when used with both full face and nasal masks.